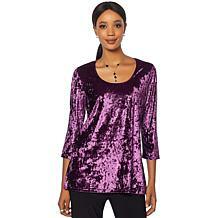 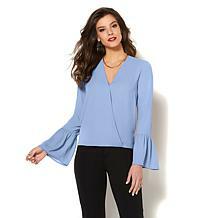 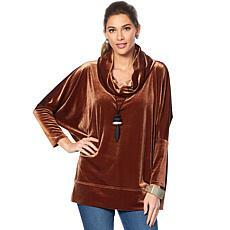 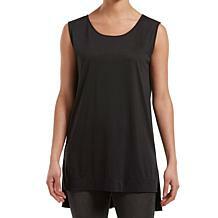 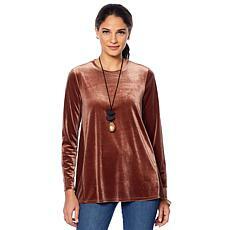 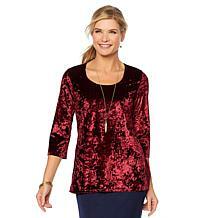 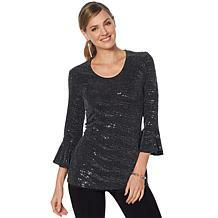 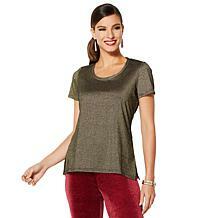 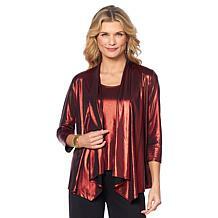 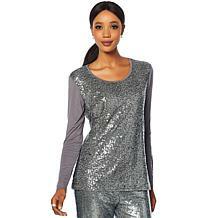 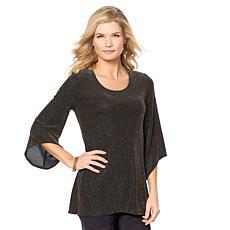 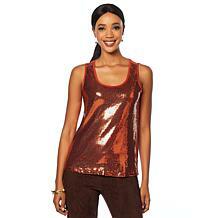 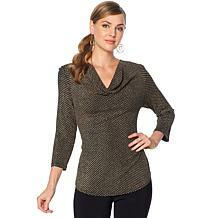 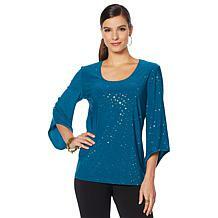 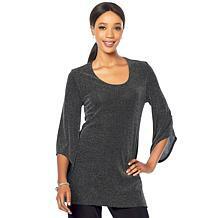 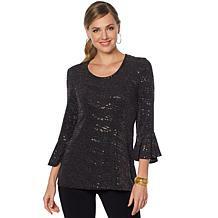 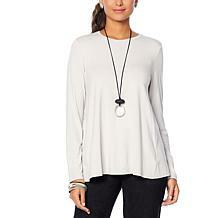 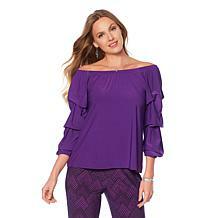 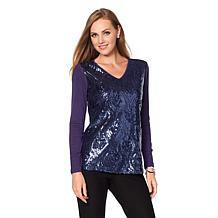 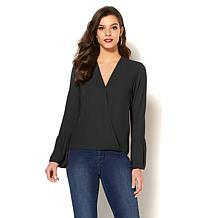 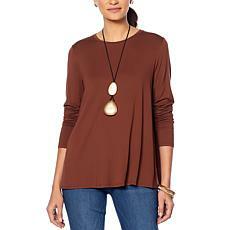 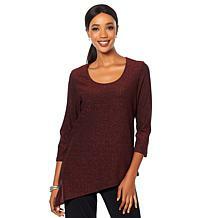 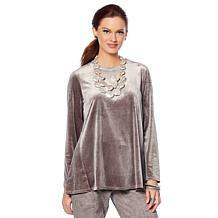 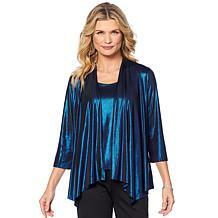 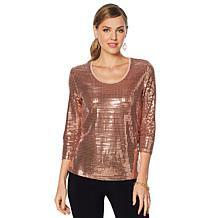 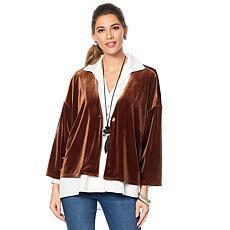 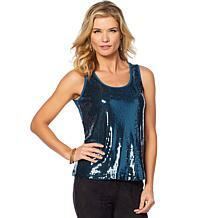 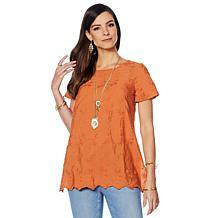 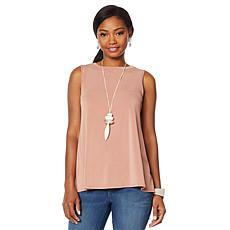 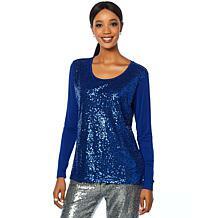 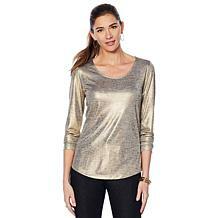 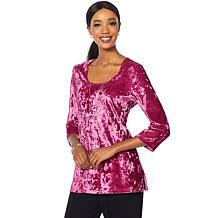 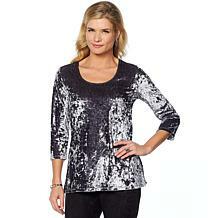 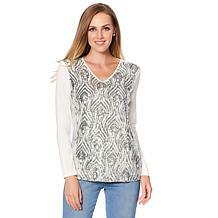 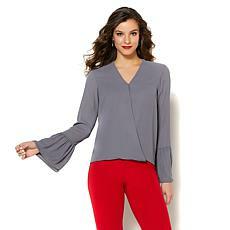 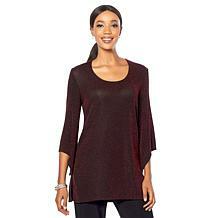 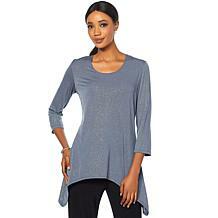 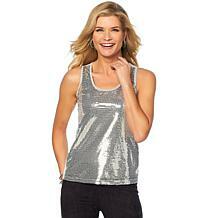 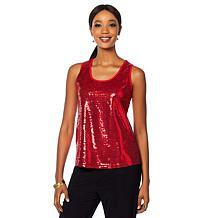 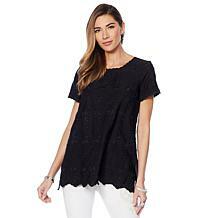 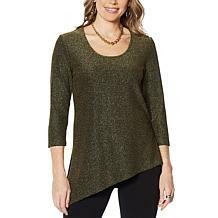 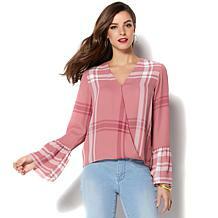 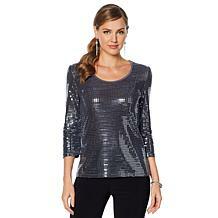 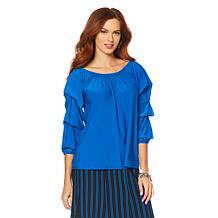 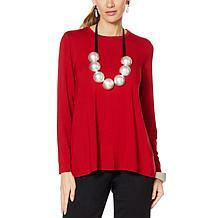 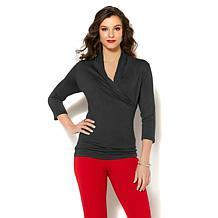 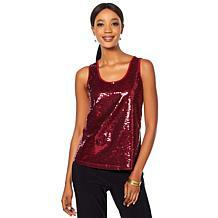 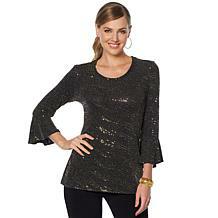 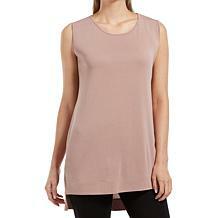 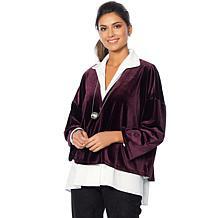 A diagonal seam arcs across the front of this top, falling in a gently pleated peplum-style sweep. 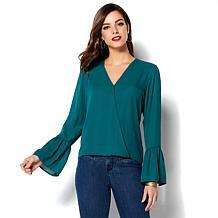 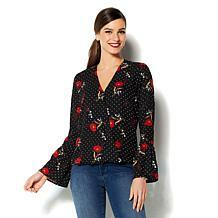 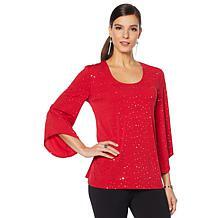 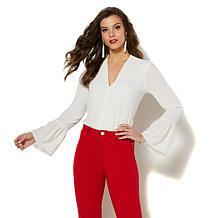 Meanwhile, sleeves flare from dropped shoulders, creating a pretty silhouette. 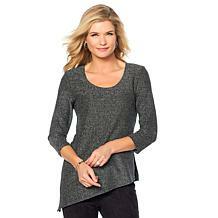 Crafted from lightweight viscose knit. 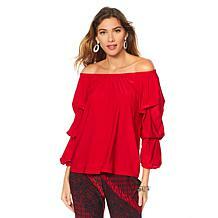 Ruffles highlight open shoulders, drawing attention to this sweet silhouette. 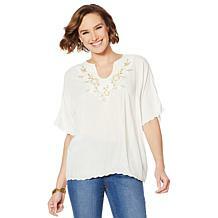 Next time you're dressing for a date or night out with the girls, this is a cute topper for your favorite jeans. 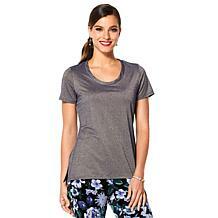 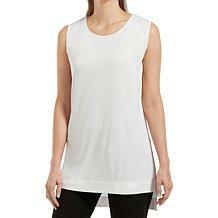 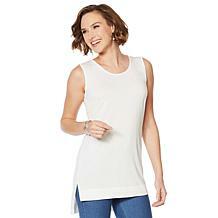 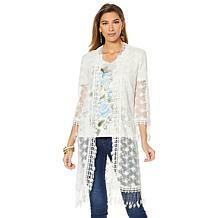 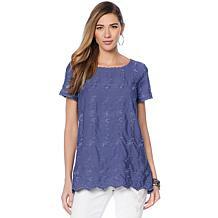 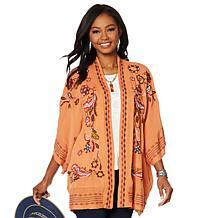 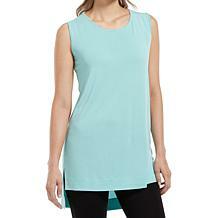 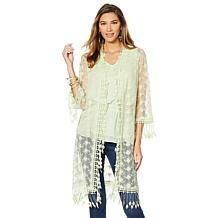 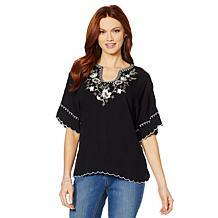 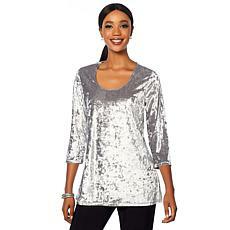 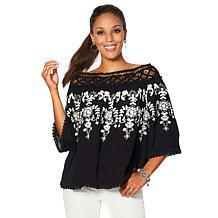 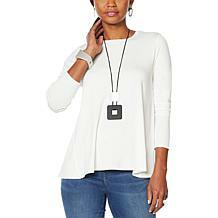 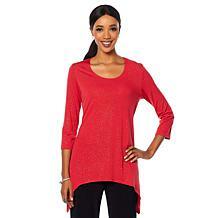 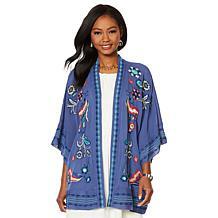 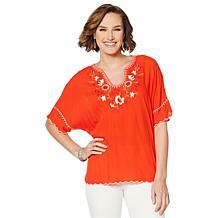 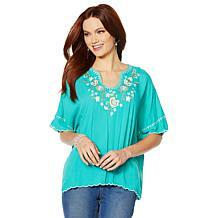 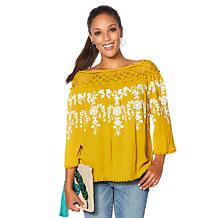 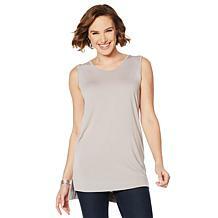 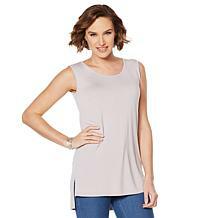 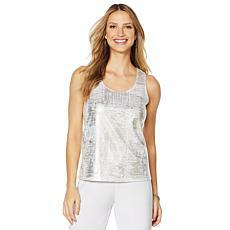 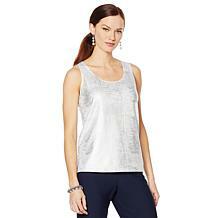 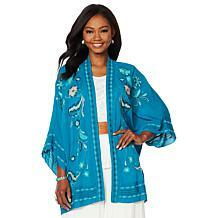 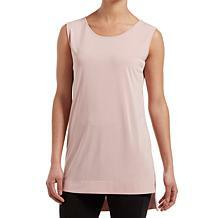 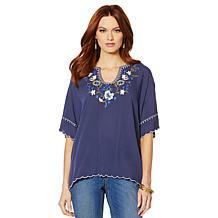 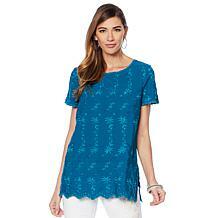 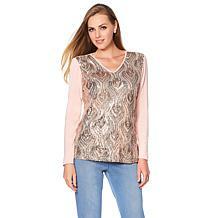 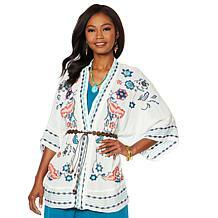 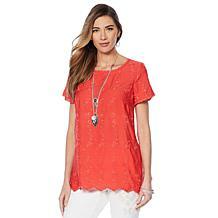 It's soft and lightweight, something you can wear transitionally from all through spring.